This post offers a preliminary analysis of the decision of the European Court of Justice (ECJ) in the case C-434/15 (Asociación Profesional Elite Taxi), which has ruled on the legal qualification of the activity performed by Uber. The reference for a preliminary ruling was brought to the ECJ by the Commercial Court No 3, Barcelona (Juzgado de lo Mercantil No 3 de Barcelona, Spain) in the context of proceedings between Asociación Profesional Elite Taxi (‘Elite Taxi’), a Spanish professional taxi drivers’ association based in Barcelona and Uber Systems Spain SL. It concerns the legal classification of Uber Pop, a service provided through an app that allows the match of drivers and individuals who request a ride. In the national proceedings, Elite Taxi alleged that Uber was committing acts of unfair competition, since the platform and its drivers operate without the necessary authorisations and licences required for the transport sector. To rule on the unfair competition claim, the Commercial Court of Barcelona has first to qualify the type of service offered by Uber. Indeed, if the platform is not a transport service it will not need to comply with the applicable national administrative rules. Since the issue required an interpretation of the EU law provisions and precisely, Article 56 TFEU, Article 1 of Directive 98/34/EC (which contains the definition of information society services), Article 3 of Directive 2000/31/EC (E-commerce Directive) and Articles 2 and 9 of Directive 2006/123/EC (Services or Bolkestein Directive), the Spanish court referred four questions to the ECJ for a preliminary ruling, which essentially aim at ascertaining whether Uber has to be considered as a transport service or rather as an electronic intermediary service or an information society service. First of all, the ECJ recognized that the intermediation service of the platform that allows the online match of supply and demand of rides is, in principle, something different from a traditional urban transport service and may be subsumed under the notion of information society service, since Uber is a service provided for remuneration, at a distance, by electronic means and at the individual request of a recipient of services (§ 35). However, the Court observes that the activity of the platform is not limited to a mere electronic intermediation: Uber has created a supply of urban transport services itself and has organised it, by selecting the drivers, making available the app (indispensable to provide and make the service accessible) and regulating some crucial aspects of the offer (see in particular, § 39). 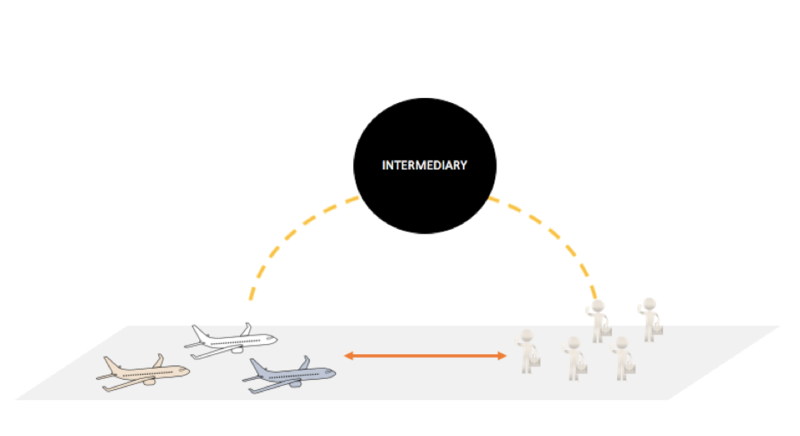 Therefore, despite its importance in Uber’s activities, the intermediation role is a piece of a more complex framework, whose principal component is the transport activity. In other words, the ECJ adjusts a seductive synecdoche, by stating that the e-intermediation is only an (indispensable but ancillary) part of the whole. With a quite succinct motivation, the ECJ confirmed the opinion of the Advocate General Szpunar and established that the intermediation service provided by Uber has to be considered as “being inherently linked to a transport service and, accordingly, must be classified as ‘a service in the field of transport’ within the meaning of Article 58(1) TFEU”. As a consequence, such an activity falls under one of the exceptions listed in the Bolkestein directive (see Article 2(2)(d) of Directive 2006/123/EC), which thus excludes Uber activity from the benefit of the freedom to provide services. Therefore, national sectoral legislation may apply. This decision is interesting because it deals with a laden debated topic that has been at the centre of controversies in several European countries. Uber organises the services’ main aspects (§ 38). being empowered to exclude the drivers from the platform due to the “quality of the vehicles, the drivers and their conduct”. “in the case of composite services, consisting of a component provided by electronic means and another component not provided by such means, the first component must be either economically independent of the second or the main component of the two in order to be classified as an ‘information society service’. 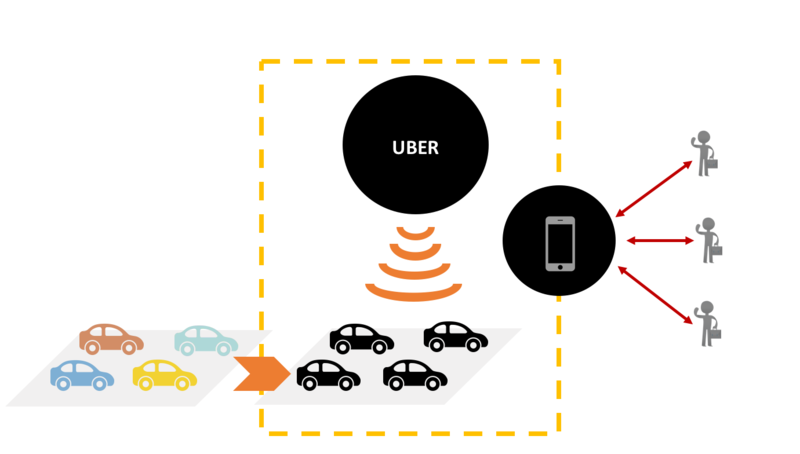 Uber’s activity must be viewed as a whole encompassing both the service of connecting passengers and drivers with one another by means of the smartphone application and the supply of transport itself, which constitutes, from an economic perspective, the main component. This activity cannot therefore be split into two, for the purpose of classifying a part of the service as an information society service. Consequently, the service must be classified as a ‘service in the field of transport’” (Opinion, § 71). Therefore, the concrete modalities of the service (namely, the two elements of the creation of the market and the decisive control of the platform) imply the two segments of activity – the connection of providers and end-users through the app and the transport service – must be considered as a single service. The latter will be then classified taking into consideration the core of the obligation (the transport service, in this case). The ‘Uber test’ proves right in the context of Uber but lacks some conceptual background. We propose here some food for conceptual insights for future cases involving digital platforms belonging to the ‘sharing economy’. The first prong of the ‘Uber test’ provides for the examination of the “indispensable” role of the platform. This concept implicitly emerges in the judgment (see §39: “an application without which”) and explicitly appears from the press release. Such a notion is quite important as there are two separate activities, an upstream market involving an information society (intermediation) service, and a downstream market consisting of a transport service. In such circumstance, the existence of the downstream market is conditioned by the organization of the upstream market. This argument is not new. The CJEU had already affirmed in The Pirate Bay (TPB) judgment, that an indispensable market intervention could lead to certain duties, despite not falling stricto sensu under the scope of the relevant provisions. The CJEU found indeed that TPB administration and indexation of illegal torrents was an indispensable (upstream) activity to access the (downstream) content, which is hosted on decentralized servers. Subsequently, while copyright protection was initially meant to prevent the communication of illegal content (downstream), the CJEU held that TPB’s (upstream) activities also constituted a communication of the (downstream) content of such torrents themselves. Therefore, TPB is liable for copyrights infringement. Figure 1. Mere intermediary (i.e. Platforms for the purchase of flights or hotel bookings). The mere intermediary does not have an essential role in creating the relationship between hotels and clients, as this market is readily accessible. The second part assesses the influence of the platform on the downstream market. The Court of Justice considers that Uber has a decisive influence on the service provision. To support such claim, the Court examines the business model and considers the risks taken by the providers and the platform, as well as the (inter)dependence of each of the parties. Noteworthy there is the language difference between the Spanish version of the text and other versions (see for instance Dutch, English, French, German, Italian). In assessing the control exercised by the platform, the Spanish version makes use of the term “idoneidad” (which can be translated as “competency/ adequacy” to perform a certain task or job) referred to the drivers, where other versions use “a control over the quality (…) of drivers”. The Spanish version seems to imply a more penetrating control over the service providers, not only ex post (through the rating systems) but also ex ante (by verifying the “idoneidad”). However, we know that this might not be true in the case of Uber, since the company mostly checks a minimum set of formal requisites to be regarded by future driver. Lost in translation, from Spanish, the original language of the case, to other languages, and despite French being the working language of the Court, is the idea of control on the aptitude of the drivers. Figure 2. Uber platform as a transport service. Uber’s services are necessary to access the market of “private hire drivers (potentially distinguishable from taxis in some countries) able to accept instant bookings”. It therefore does not only convey a message but also has a say on the downstream market of transportation. In the present case, the CJEU found that Uber has taken proactive steps to regulate such transportation market. 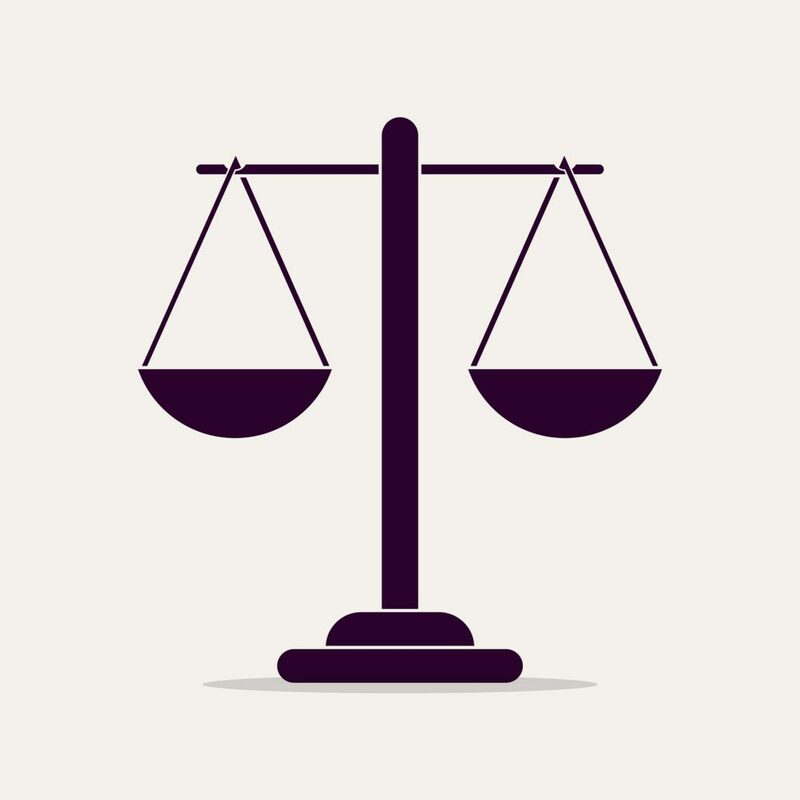 Conceptually, the substance of the “control trigger” remains unclear and will require additional precisions in future cases of the CJEU. Are those factors cumulative, or even exhaustive? However, by characterizing Uber as a “global service”, in which the characteristic element is transport (§40), the Court of Justice favors a “form over substance approach”. This decision closes a tough year for Uber, which faced a change at the top of the company, the rejection of the license in London, the unsuccessful appeal over drivers’ employment rights in the UK and a huge data breach scandal. Despite the judgment being favorable to traditional taxi companies, the decision will not compromise Uber’s business in each European country if it is compliant with national transport law. In addition, the ECJ leaves a door open to the development of services like Uber by referring to art 91 TFEU. According to the Court, the “inherently linked” activity to non-public urban transport service can be regulated at the European level by implementing the common transport policy. We might assume that the reference here is to art. 91(c) or, more probably, to the general clause provided by art. 91(d) TFUE. Besides, in the assessment of the two markets distinguished above, the “selection of non-professional drivers” is noteworthy. Indeed, if Uber proceeds to the selection of drivers, does this mean that a purely passive platform might have avoided the qualification of transport service? Or does this open the floodgates for further regulation by considering a legal fiction? The enrolment of drivers could indeed constitute an active involvement of the platform, using a discretionary power to positively designate who will be the provider, and therefore establishing the grounds for an intuitu personae contracts, i.e. a contract in which the parties have considered the identity of their counterpart as being essential. From a contractual perspective, such definition creates specific duties and rights, such as the impossibility to transfer the contract. Therefore, there is room for discussion on employment regulation. Unlike some editorialists, we believe the ECJ carefully avoided to take any stance on the characterization of the contractual relationship – agency, employment, subcontractor – leaving such effort to domestic legislation. The case was indeed referred to the ECJ to characterize the service, not the relationship with the users. However, had the ECJ qualified Uber as an information society service, an employment relation between the platform and the provider of the driver would not have been legally possible. Indeed, the last part of recital 18 of the ecommerce directive excludes that employees-employers relationships fall within the scope of an “information society services”. Finally, the decision anticipates the probable outcome of a second “Uber case”, which is currently pending before the European Court of Justice. In the case C-320/16, a specific provision of the French Transport Code (Art. L. 3124-13), introduced in 2014 and that basically banned the activity of Uber, is contested. According to Uber France such a provision could not be enforced because it was not notified according to the specific procedure set out at Article 8(1) of Directive 98/34/EC for technical rules. However, if Uber has not been classified as an information society service in Asociación Profesional Elite Taxi, we might reasonably expect that Directive 98/34/EC will have no bearing on the French Transport Code provision. The Uber case brought the light on the rising tensions at national and EU level on the regulation of innovative companies, competing digitally with more traditional businesses. An activity carried out through an app, or under the umbrella term of the “sharing economy” does not justify any particular discount on legal protection. Such innovative activities do not occur in a normative vacuum and many of them can fit in the already existing categories of law. However, regulation suffers undeniably a certain degree of obsolescence when confronted with new technologies. Therefore, it should be updated as the solutions provided by the existing regime do not satisfy the political, economic and social needs. The form of this regulation is currently under discussion at the international and European level. State regulation, co-regulation, sectorial self-regulation, liberalization are some of the institutional options to reframe the current regime. Since Uber offers a mixed service, consisting mainly of a transportation service, it requires at least a sectoral regulation. In this sense, the Uber decision may support the scholars arguing that a “one-size-fits-all-approach” is not desiderable (a transport service, like Uber, has to be regulated differently from an accommodation service, like Airbnb). Please tell us what do you think about this case! What will be the other possible implications for the platforms of the sharing economy? In Belgium see: Brussels Commercial Court, 23/09/2015; in Spain: Juzgado de lo Mercantil n. 2 Madrid, Asociación madrilena del Taxi v. Uber Technologies Inc., 9/12/2014; in Denmark: Eastern High Court, 17/11/2016; in France: Conseil constitutionnel, Decision No. 2015-468/469/472 QPC of May 22, 2015, Corporation UBER France SAS et al. ; in Germany: Frankfurt Regional Court, 18/03/2015; in Italy: Trib. Milano Sez. spec. in materia di imprese Ordinanza, 25/05/2015, Soc. coop. Taxiblu e altri c. Uber International BV e altri; Trib. Milano Sez. spec. in materia di imprese Ordinanza, 09/07/2015, Uber International BV e altri c. Soc. coop. Taxiblu e altri; Trib. Torino Sez. spec. in materia di imprese, 01/03/2017, Uber Italy s.r.l. e altri c. Società Cooperativa Pronto Taxi S.C. a r.l. e altri; Trib. Roma, sez. IX civile Ordinanza, 07/04/2017, AppTaxi s.r.l. e altri c. Uber BV e altri; in the Netherlands: Dutch Trade and Industry Appeals Tribunal, 21/09/2017. ECJ, C-434/15, Asociación Profesional Elite Taxi, 20/12/2017, § 37. This conclusion has been reported also in the Opinion of the Advocate General Szpunar, delivered on 4 July 2017, in the Case C‑320/16, Uber France SAS. See, in particular, § 15-22. Cf. for instance ECJ, C-418/01, IMS Health, 29/04/2004, §42. ECJ, C-610/15, Stichting Brein v Ziggo BV, 14/06/2017, §37. E. Rosati, The CJEU Pirate Bay judgment and its impact on the liability of online platforms, EIPR, forthcoming. Available at SSRN: https://ssrn.com/abstract=3006591. See, in particular, p.15. ECJ, C-610/15, Stichting Brein v Ziggo BV, 14/06/2017, §26. 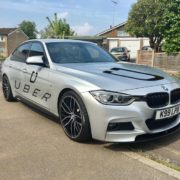 For an overview of Uber in 2017 see here. Article L. 3124-13 of the Transport Code provides: “The organisation of a system for putting customers in touch with persons carrying on the activities mentioned in Article L.3120-1 where such persons are neither road transport undertakings entitled to provide occasional services as mentioned in Chapter II of Title 1 of this Book, nor taxi drivers, two or three-wheeled motorised vehicles or private hire vehicles within the meaning of this title shall be punishable by a two-year term of imprisonment and a fine of EUR 300 000. Legal persons who incur criminal liability for the offence laid down in this article shall, in addition to a fine in accordance with Article 131-38 of the Criminal Code, incur the penalties laid down in paragraphs 2 to 9 of Article 131-39 of the Criminal Code. The prohibition referred to in paragraph 2 of Article 131-39 of the Criminal Code shall extend to the activity in the exercise of which or at the time of the exercise of which the offence was committed. The penalties laid down in paragraphs 2 to 7 of Article 131-39 of the Criminal Code shall not exceed five years in duration”. 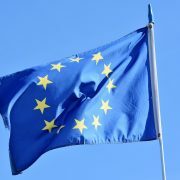 European Parliament resolution of 15 June 2017 on online platforms and the digital single market, Synopsis report on The Public Consultation on the Regulatory Environment for Platforms and Online Intermediaries. Short-term furnished rental: the importance of local French regulation. Customer Ratings as a Vector for Discrimination in Employment Relations?